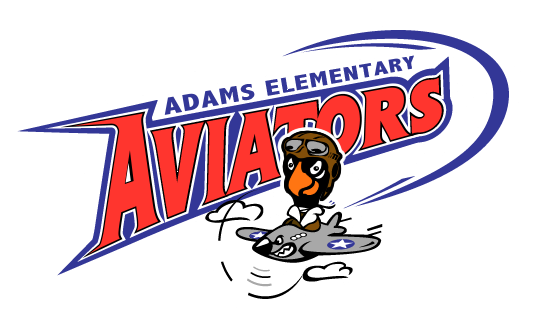 Adams Elementary, named after Lt. Colonel Paul Adams, opened August of 2008. This K-5 elementary school is approximately 95,000 square feet and has the capacity to house 792 students. It is located at 7401 Jacobs Creek Drive in South Lincoln. Welcome to Adams Elementary School! In August, 2008, we opened the doors of our beautiful new school creating a community focused on academic success. Our priority continues to be student learning, ensuring every student is challenged to achieve or exceed grade level district and state expectations. We will accept no limits on the learning potential of any child. Our school is organized into grade level instructional teams; kindergarten through fifth grade. We also host an afternoon and morning session of the Early Childhood Preschool Program. All staff works closely with the administrative team to provide focused instruction as we implement a rigorous academic program across every grade level. 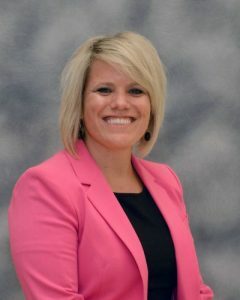 In addition, specialists in the areas of technology, art, music, library media, and physical education use their talents and expertise to deliver a rich, well-rounded program. At Adams, we provide a safe, respectful environment, which promotes high levels of student engagement and performance. Honoring the diversity and unique strengths and talents of each student guides our planning for individual success. There are two guiding principles for acceptable behavior: first, it is never okay to be hurtful; and second, it is never okay to be disruptive. We strive to implement common expectations across all programming beginning with before school childcare and ending with after school childcare, clubs, and activities. I invite you to explore the Adams website to learn about past and upcoming events. We are very fortunate to have a strong Parent Teacher Organization (P.T.O. ), which focuses their efforts on improving programming for the children. They are an amazing group, so be sure to check out their website at the parent tab located at the top of the home page. Our mission is Teaching with passion, learning with confidence, and achieving excellence. We invite you to become an active, positive and collaborative partner at Adams! THE ADAMS COMMUNITY. 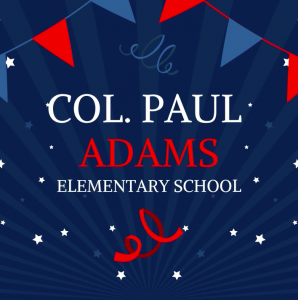 . .
At Adams Elementary, we will function as collaborative teams to build a caring community; a place where students have pride in their school and treat one another with compassion and respect. We will partner with families to develop a high level of trust and will embrace differences and value diversity. We believe all kids will learn. We will promote our love of learning by providing rich instructional experiences that will nurture the intrinsic motivation of each child to explore, discover, and learn. We will create a supportive environment that encourages risk taking in learning. We value the unique talents students bring to the classroom and will tailor our instruction to build on students’ strengths to promote an atmosphere of joyful learning. At Adams Elementary kids come first. We will not put limits on any child’s potential. We will set high expectations for academics, behavior, and character development and will challenge all students to be all they can be. Click the picture for important information about our arrival & dismissal procedures. Daily hours at Adams Elementary: 8:15 a.m.–2:53 p.m.
Before and after school child care are provided by Family Service. Call 441-7949 for information and to register. Donated by the Adams PTO for our 10 year anniversary. Click here to read more about the heart.